Mounts to standard draw bar with 2" hole centers. 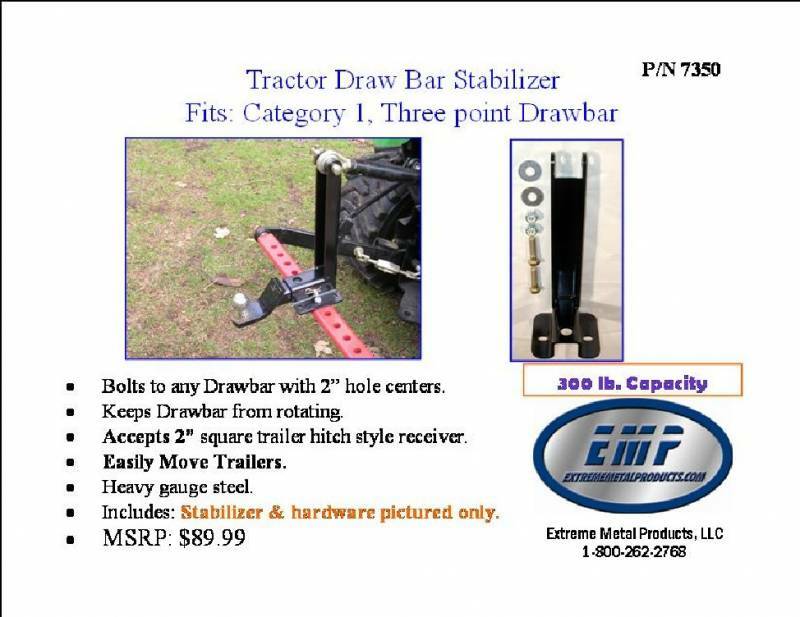 Use your old draw bar or buy one at your local store for about $20.00. 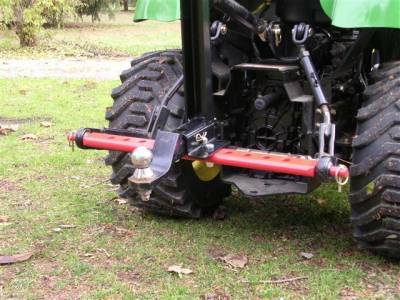 Includes: Stabilizer and two grade 8 mounting bolts. Laser cut for a great fit. Rated for 200 lb tongue weight, if used for a trailer receiver. 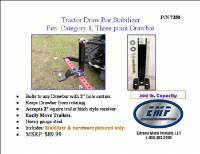 Does not include the drawbar or receiver pictured. 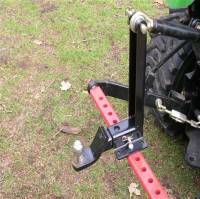 The drawbar will cost you about $20-$23.00 at your local tractor store.